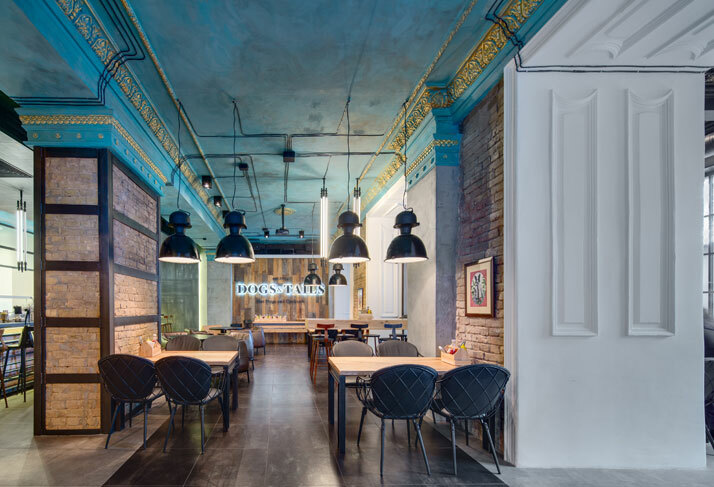 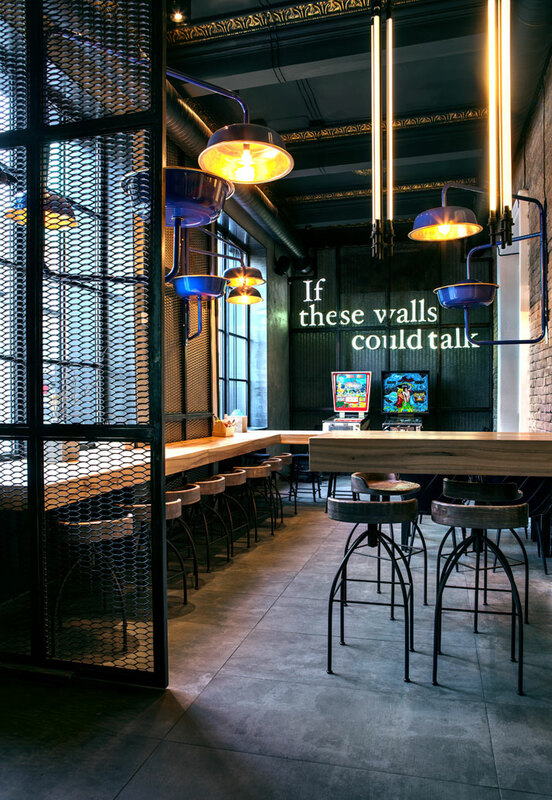 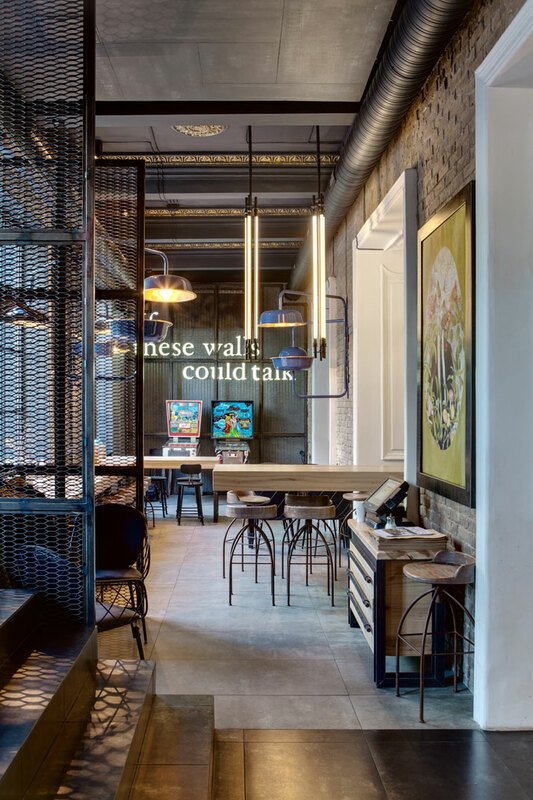 Architecture and design practice Sergey Makhno Architects is behind the rich and layered design of Dogs &Tails bar and café in Kiev, Ukraine. 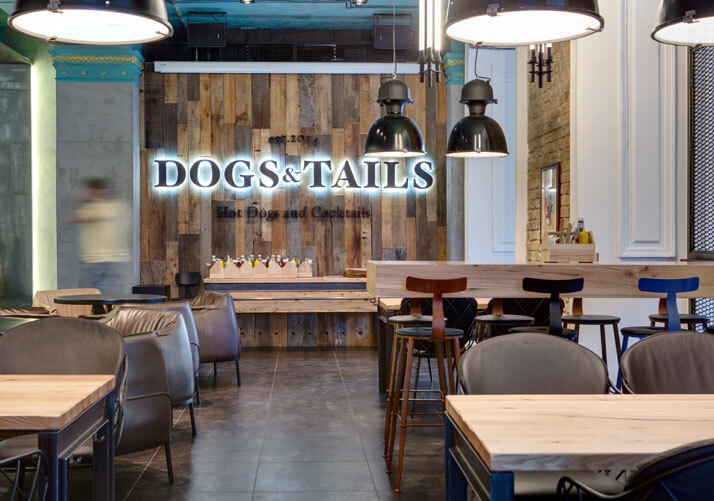 Housed in a building that was originally a synagogue and later a small cinema, Dogs &Tails is sister to the neighbouring restaurant and café Milk Bar. 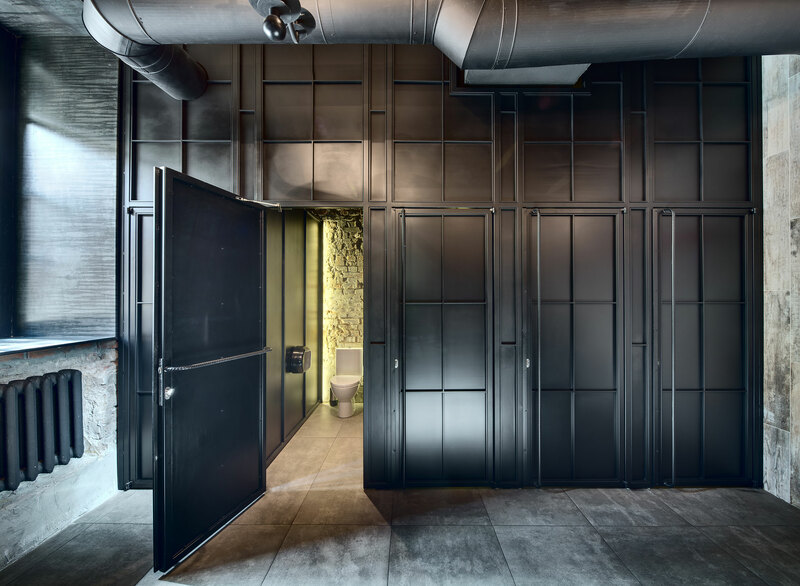 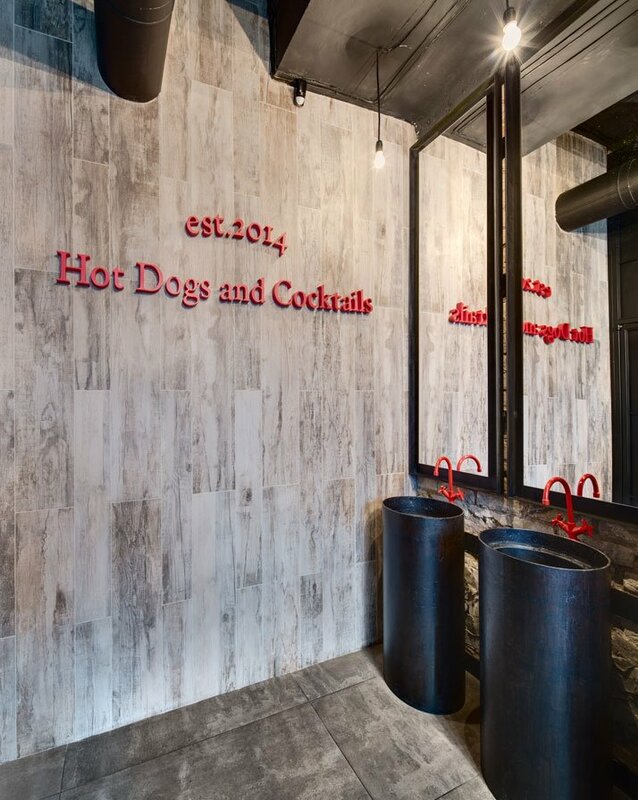 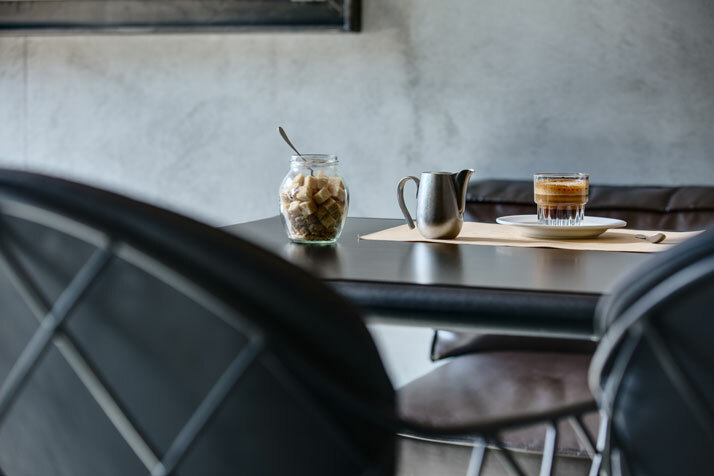 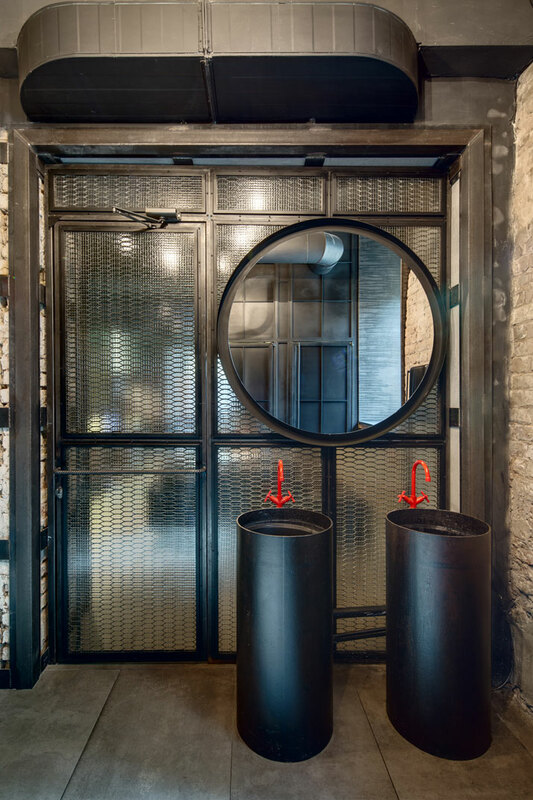 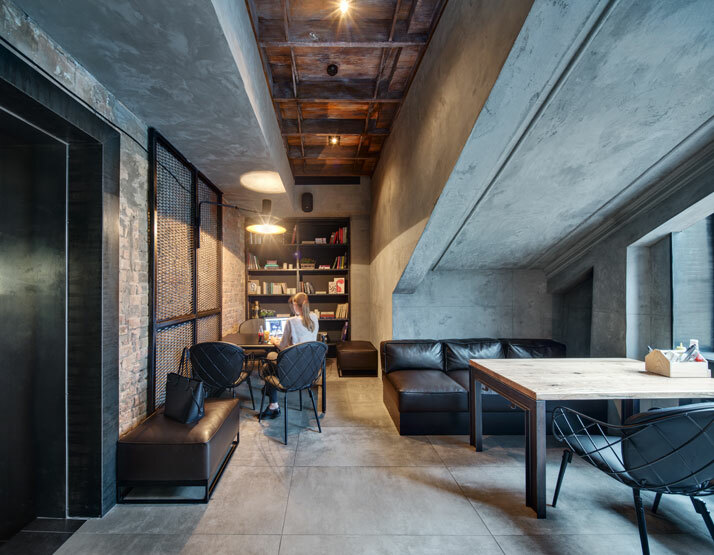 Concrete, black-painted iron and wood are the main materials used for the interior, a palette that inevitably creates an industrial and heavy feel that is nevertheless very tactile and inviting. 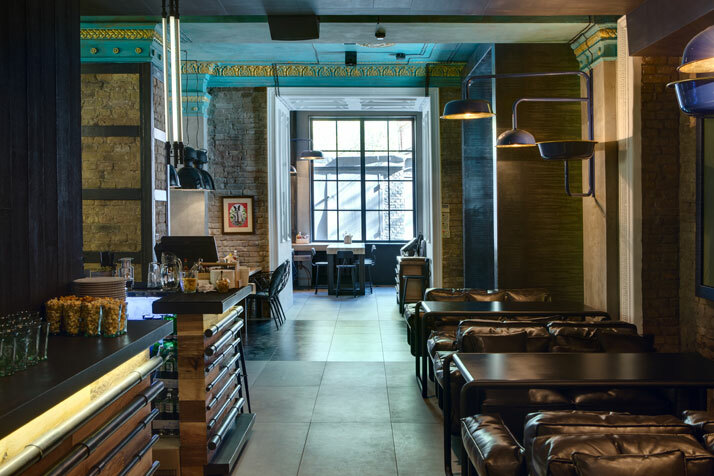 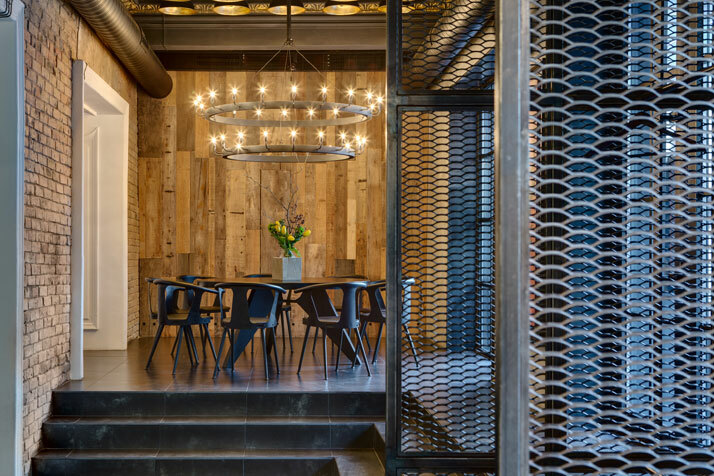 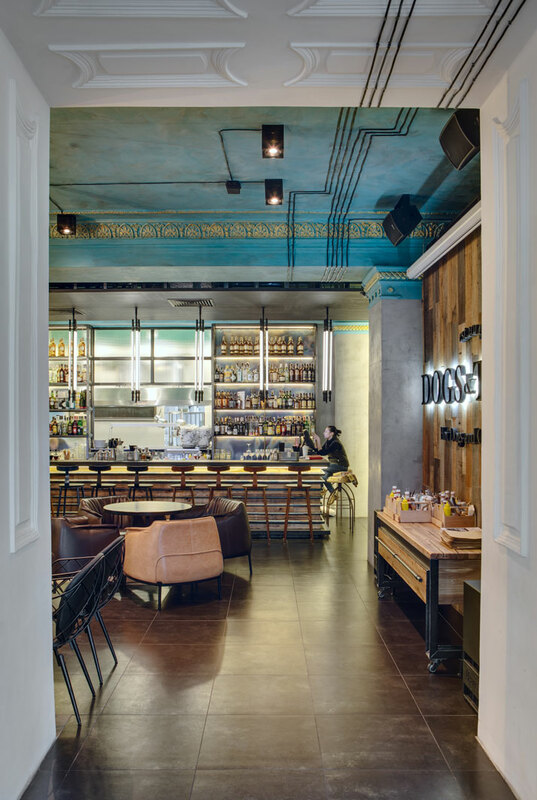 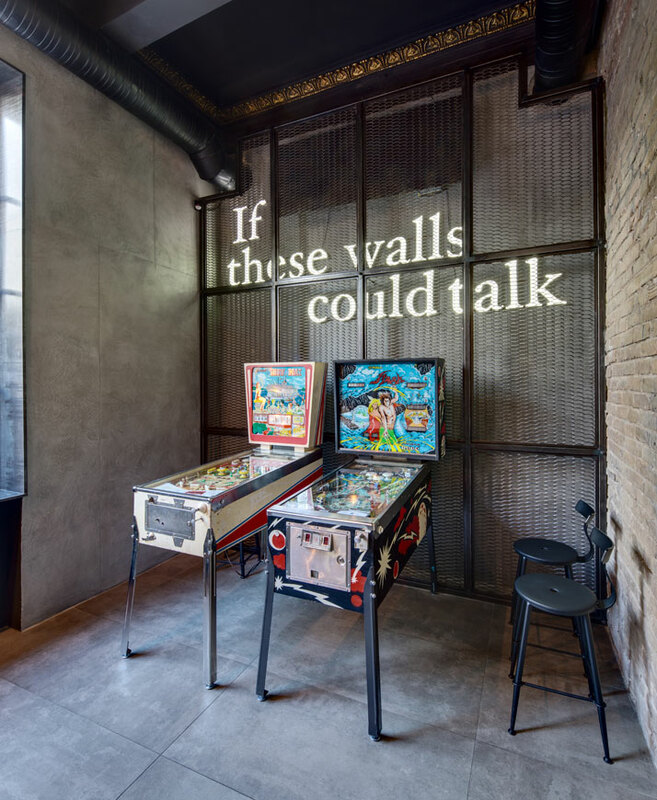 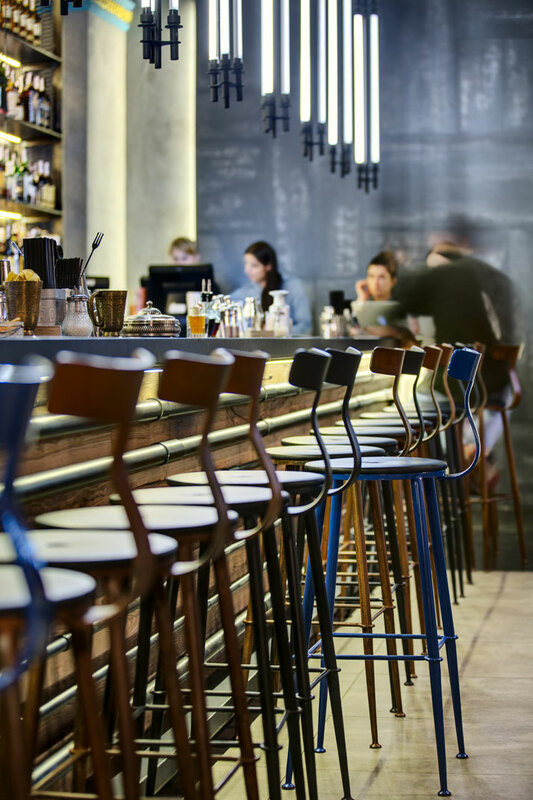 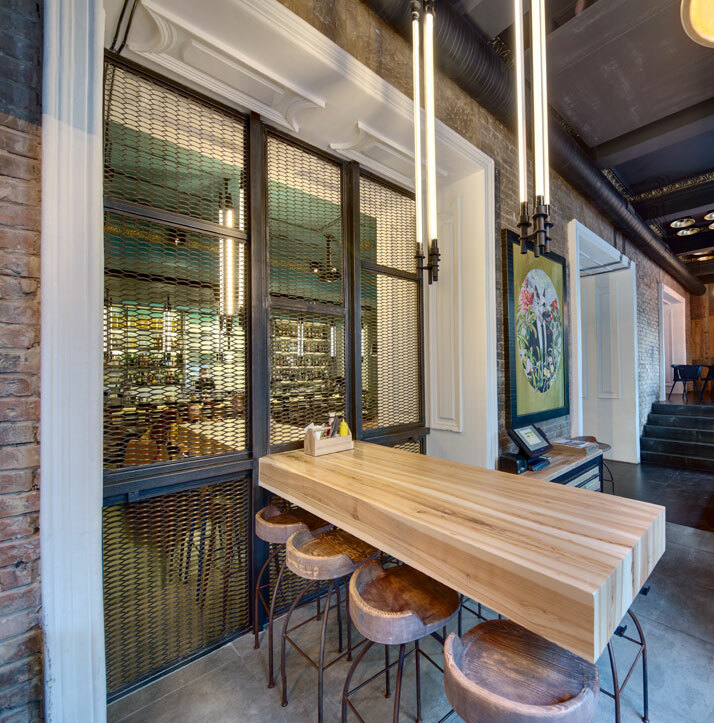 The industrial atmosphere is only reinforced by the rigid angular geometry of structural and decorative elements, as well as the harsh light emanating from the tubular neon pendant lights over the bar that were custom designed by the design studio’s principal Sergey Makhno. 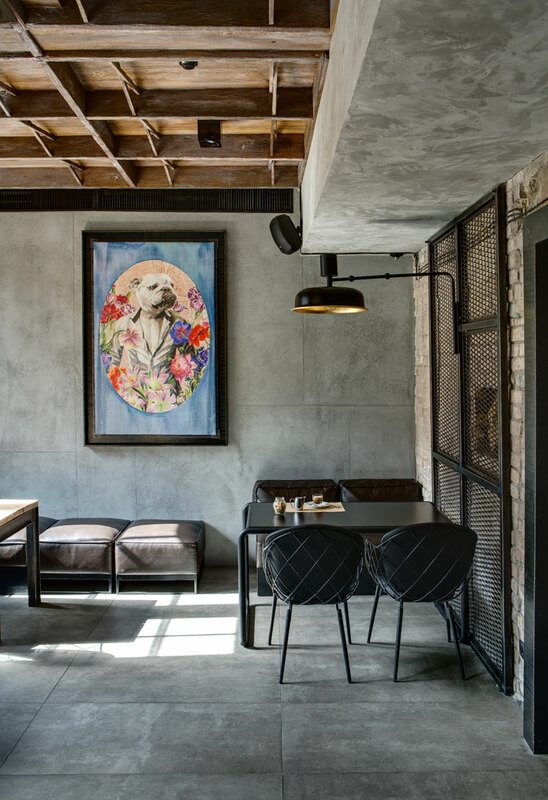 To brighten the otherwise sombre interior, a couple of playful touches come into play such as for example the humorous dog portraits hanging from the wall portraying colourful human-like canine characters, and of course the hard-to-miss turquoise ceiling of the main bar area. 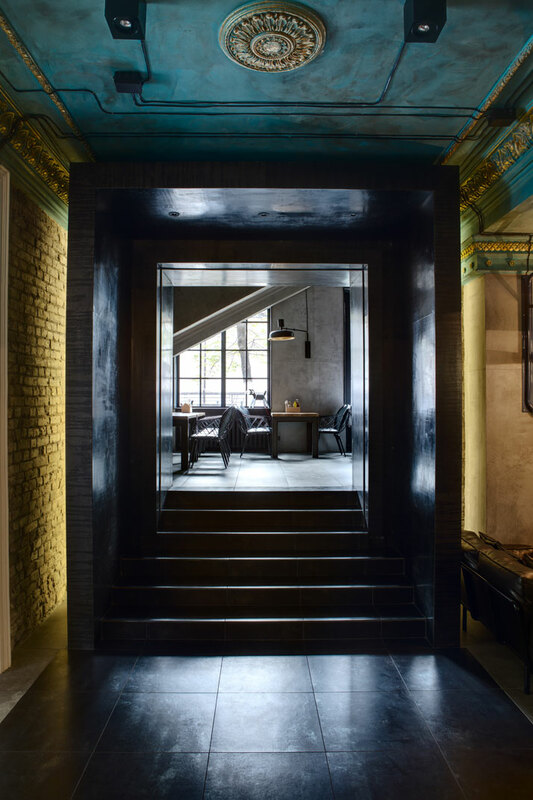 Overall, Sergey Makhno Architects has been successful in balancing out the contrasting design elements in this project, all the while achieving a sense of discreet elegance and lightness using the otherwise rough and chunky design vocabulary of industrial spaces. 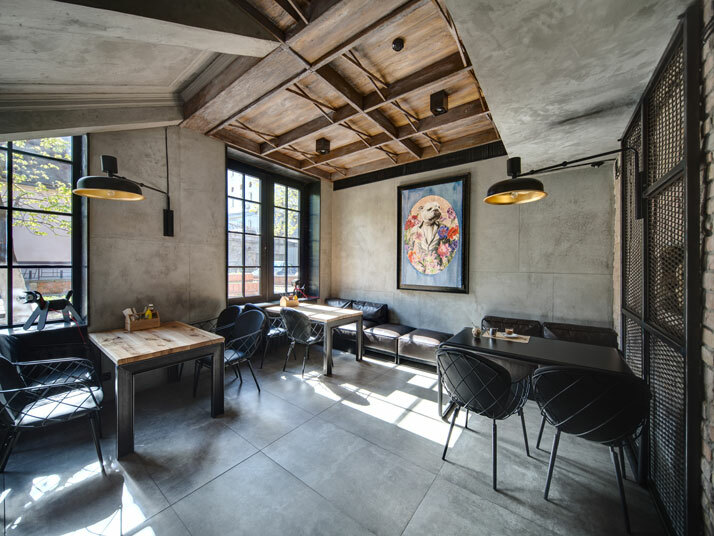 photo courtesy of Makhno Studio. 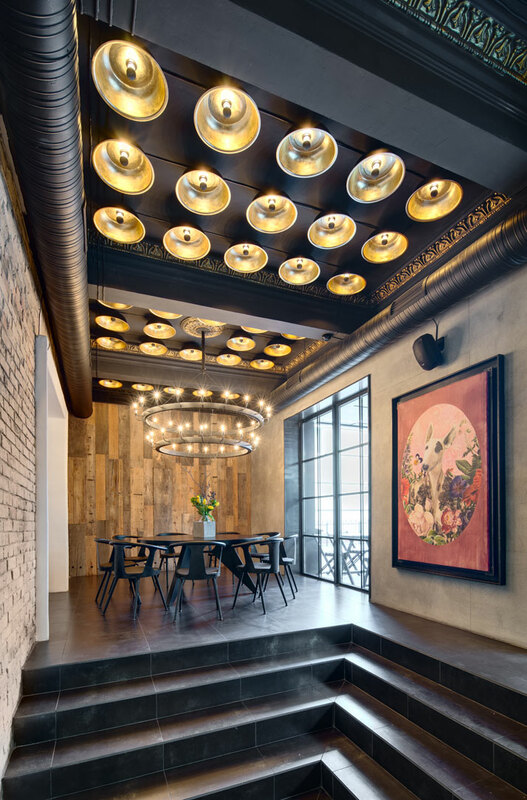 photo courtesy of Sergey Makhno Architects.